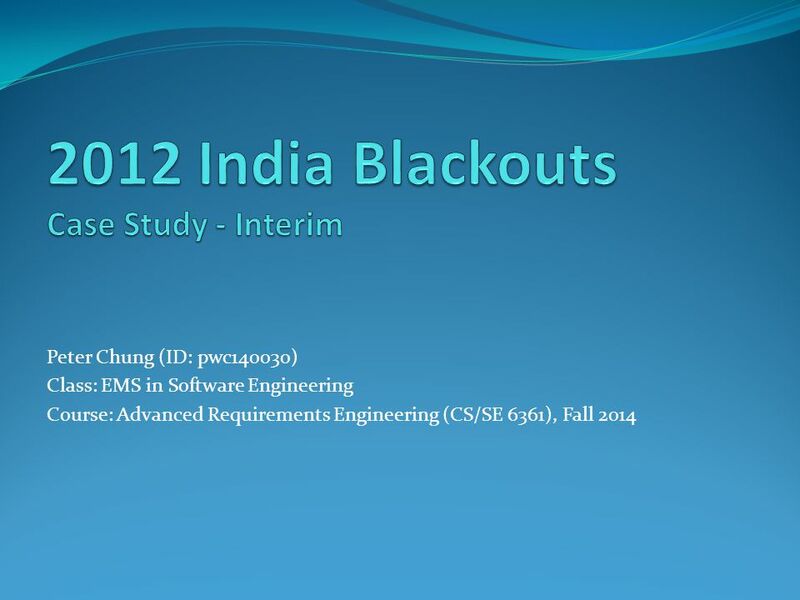 Peter Chung (ID: pwc140030) Class: EMS in Software Engineering Course: Advanced Requirements Engineering (CS/SE 6361), Fall 2014. 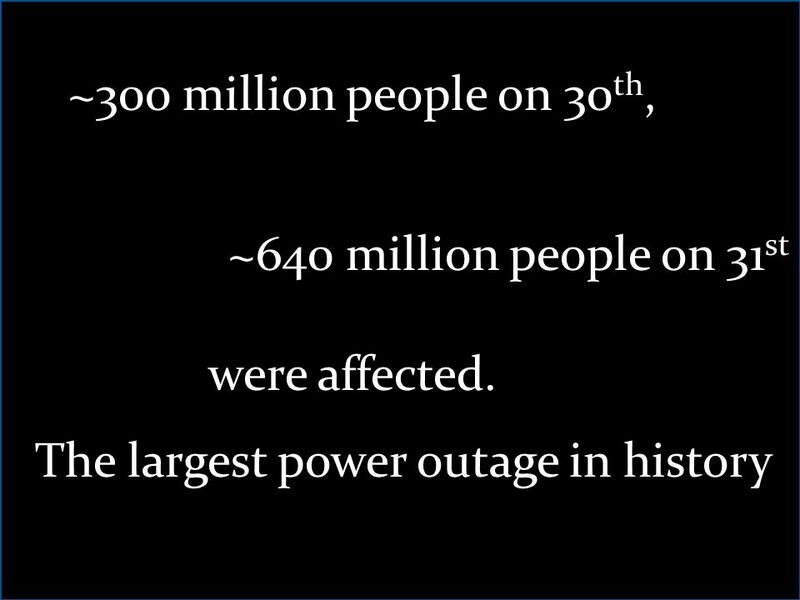 5 ~300 million people on 30 th, ~640 million people on 31 st The largest power outage in history were affected. 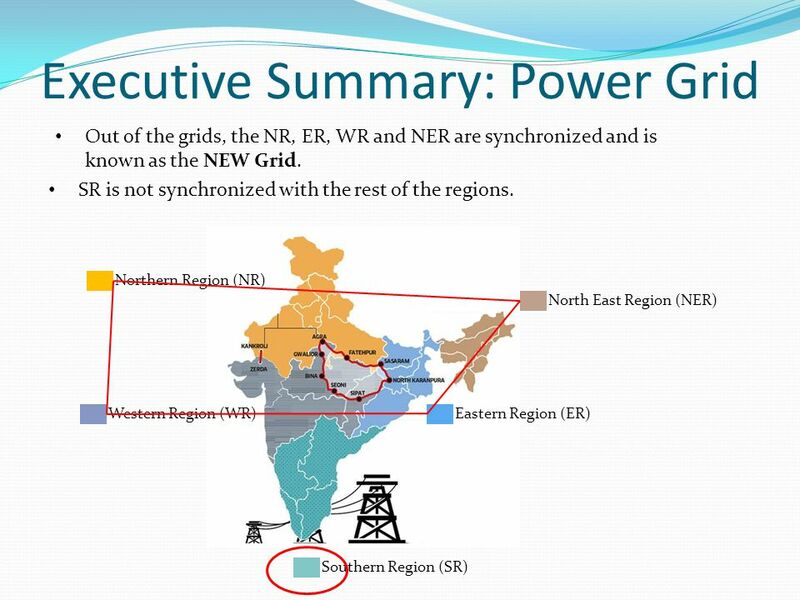 8 Executive Summary: Power Grid Out of the grids, the NR, ER, WR and NER are synchronized and is known as the NEW Grid. 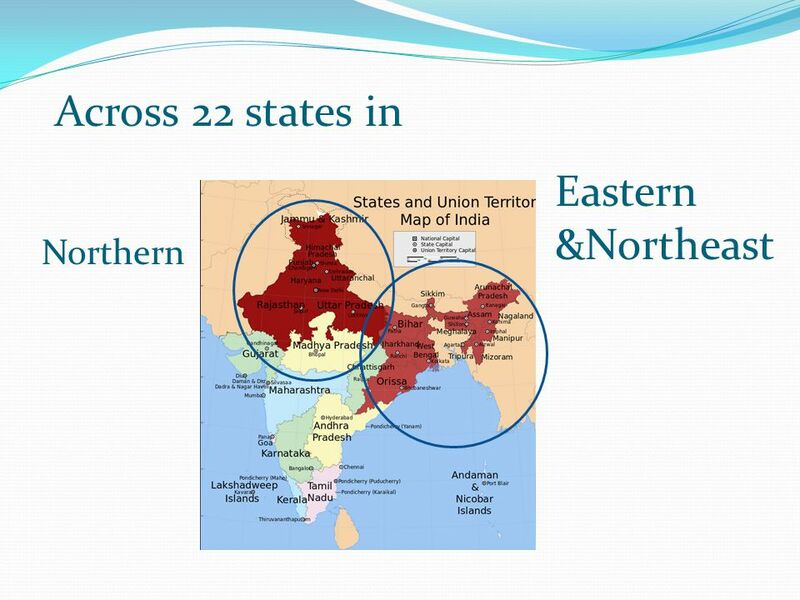 Northern Region (NR) Eastern Region (ER)Western Region (WR) North East Region (NER) Southern Region (SR) SR is not synchronized with the rest of the regions. 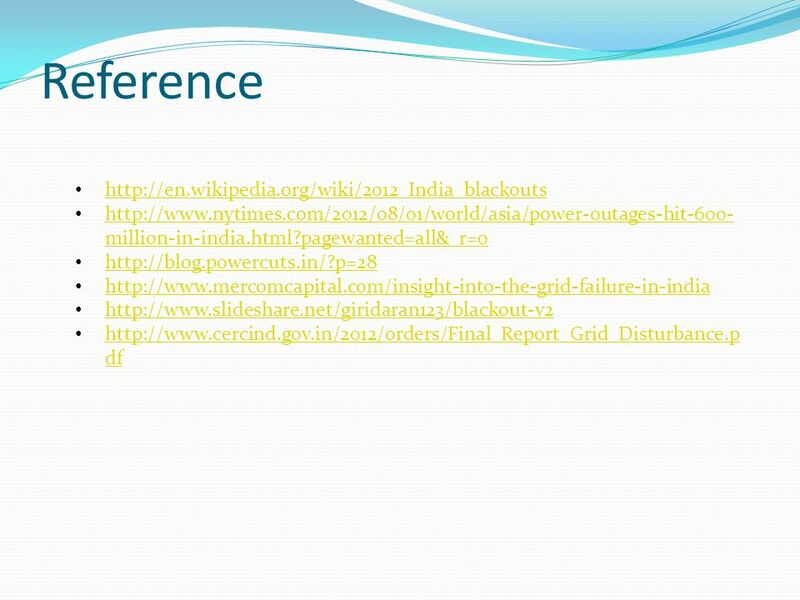 9 Executive Summary: Power Grid On July 30 th, the NR Grid failed. 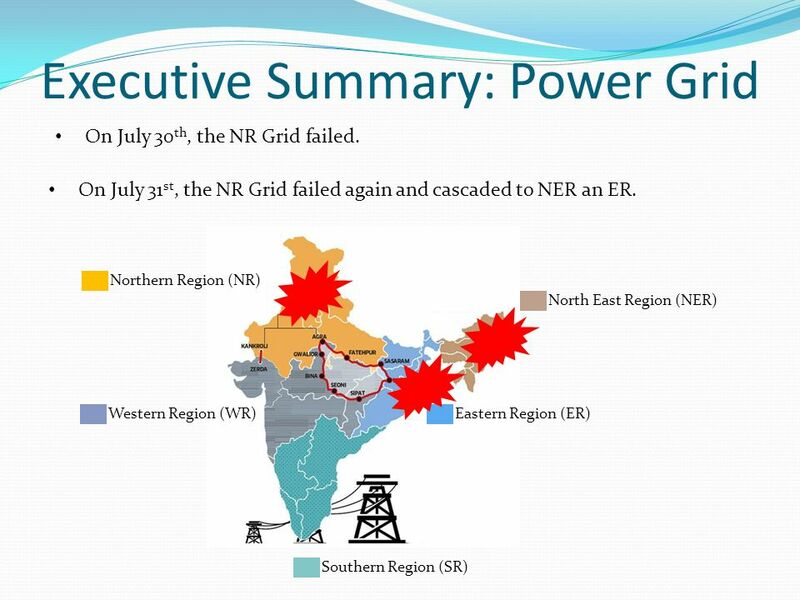 Northern Region (NR) Eastern Region (ER)Western Region (WR) North East Region (NER) Southern Region (SR) On July 31 st, the NR Grid failed again and cascaded to NER an ER. 10 Background 1.The northern grid had previously collapsed in 2001. 2.The electrical infrastructure was generally considered unreliable. 3.An estimated 27% of energy generated was lost in transmission. 4.Efforts were underway to reduce transmission and distribution losses and increase production further. 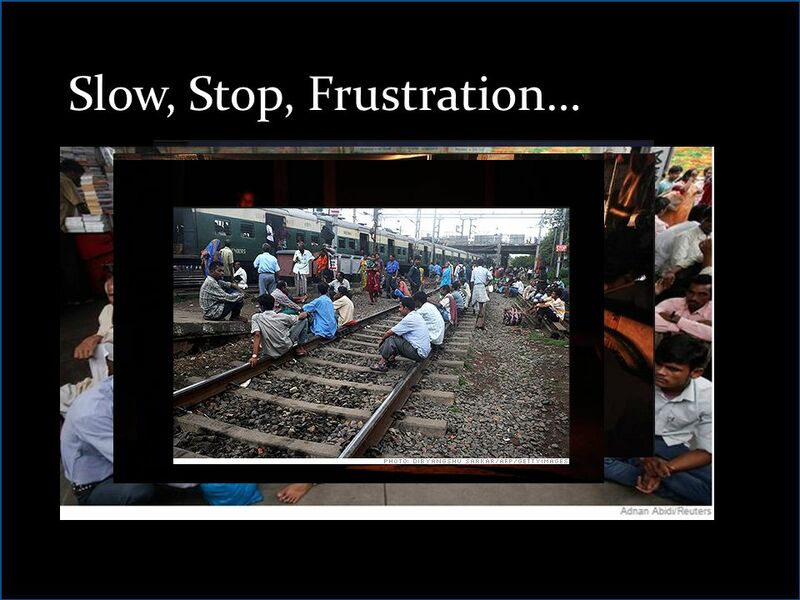 5.In the summer of 2012, extreme heat caused power use to reach record levels in New Delhi. 6.Due to the late arrival of monsoons, agricultural areas drew increased power from the grid for running irrigation pumps to paddy field. 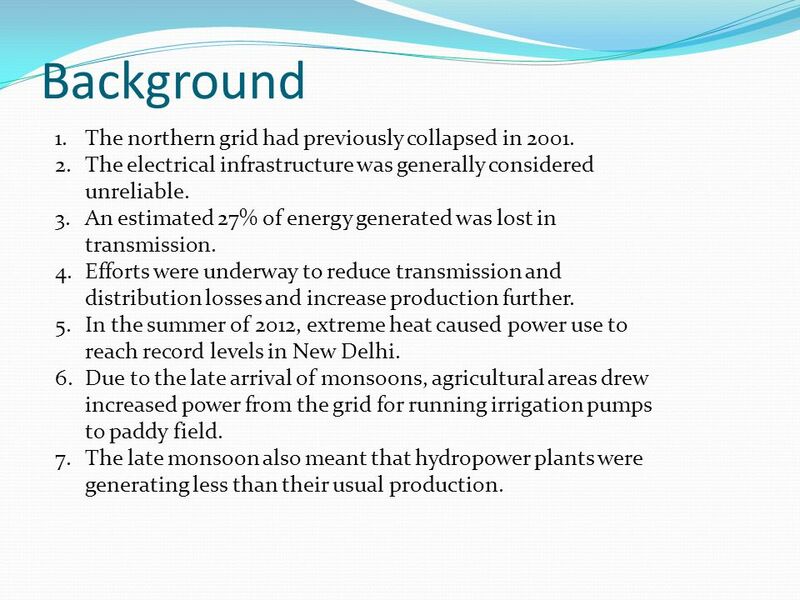 7.The late monsoon also meant that hydropower plants were generating less than their usual production. 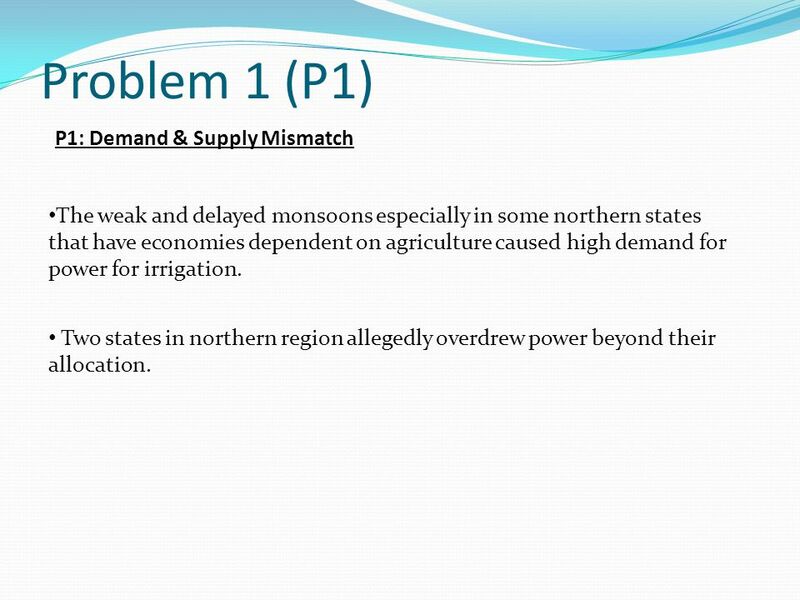 11 Problem 1 (P1) P1: Demand & Supply Mismatch Two states in northern region allegedly overdrew power beyond their allocation. The weak and delayed monsoons especially in some northern states that have economies dependent on agriculture caused high demand for power for irrigation. 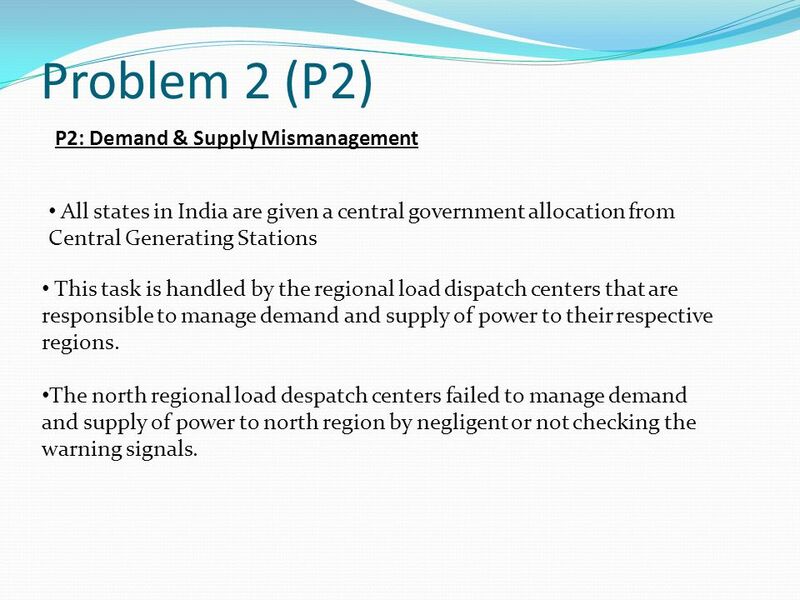 12 Problem 2 (P2) P2: Demand & Supply Mismanagement All states in India are given a central government allocation from Central Generating Stations This task is handled by the regional load dispatch centers that are responsible to manage demand and supply of power to their respective regions. The north regional load despatch centers failed to manage demand and supply of power to north region by negligent or not checking the warning signals. 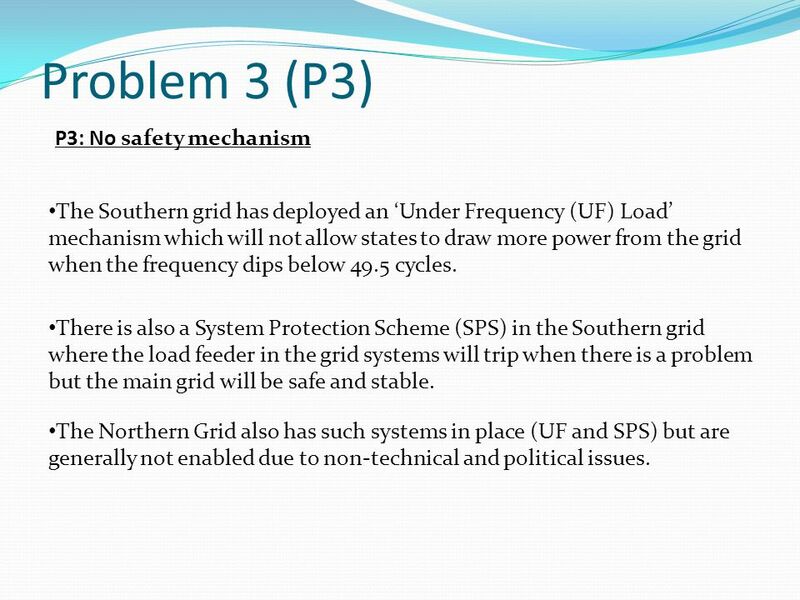 13 Problem 3 (P3) P3: No safety mechanism The Southern grid has deployed an ‘Under Frequency (UF) Load’ mechanism which will not allow states to draw more power from the grid when the frequency dips below 49.5 cycles. There is also a System Protection Scheme (SPS) in the Southern grid where the load feeder in the grid systems will trip when there is a problem but the main grid will be safe and stable. The Northern Grid also has such systems in place (UF and SPS) but are generally not enabled due to non-technical and political issues. 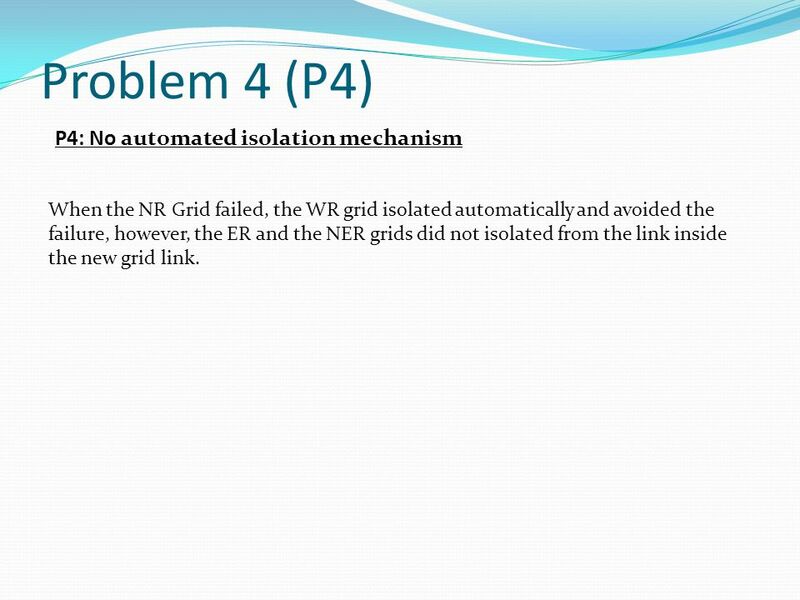 14 Problem 4 (P4) P4: No automated isolation mechanism When the NR Grid failed, the WR grid isolated automatically and avoided the failure, however, the ER and the NER grids did not isolated from the link inside the new grid link. Download ppt "Peter Chung (ID: pwc140030) Class: EMS in Software Engineering Course: Advanced Requirements Engineering (CS/SE 6361), Fall 2014." 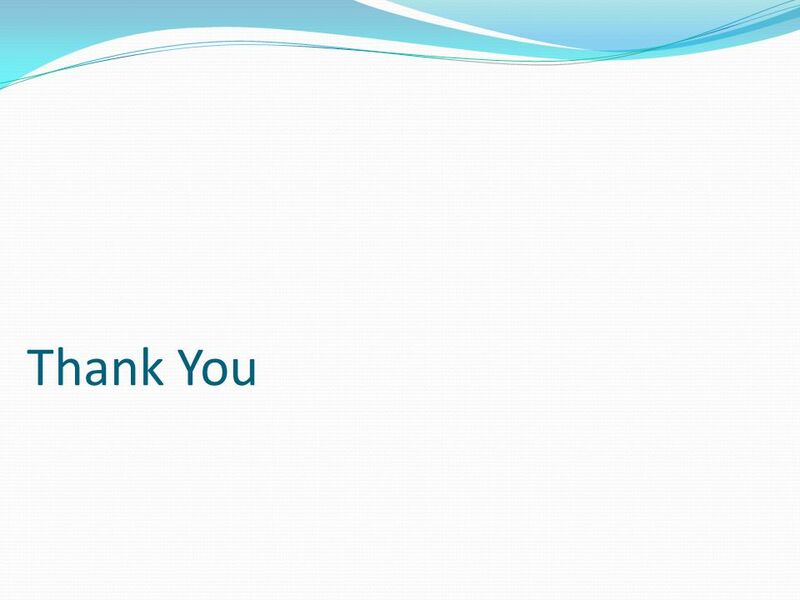 Presentation to State Water Resources Control Board November 14, 2012 By Dave Modisette Executive Director California Municipal Utilities Association. 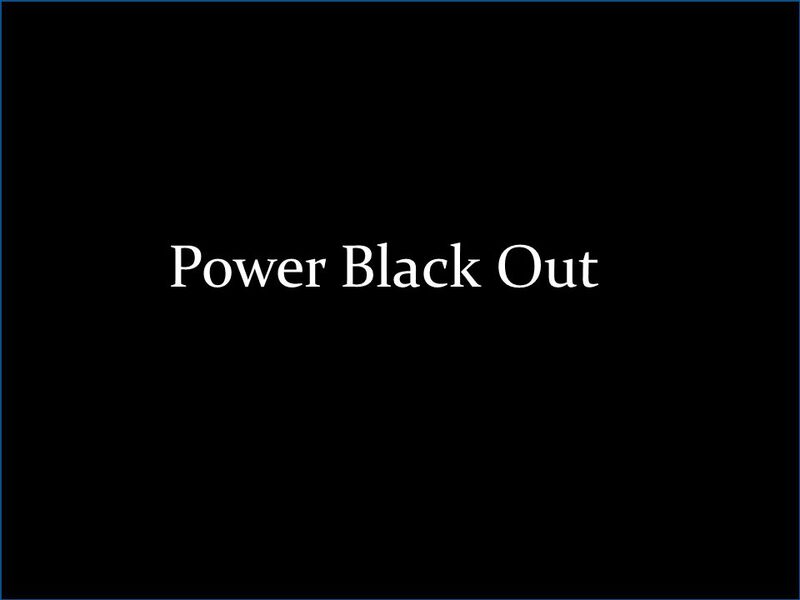 1539pk 2003 MAJOR POWER GRID BLACKOUTS IN NORTH AMERICA AND EUROPE Copyright © P. Kundur This material should not be used without the author's consent. NORTHERN REGIONAL GRID SYSTEM CONTINGECY AND RESTORATION. 1 U.S. Energy Information Administration, Annual Energy Review All energy input US average = 90.3 MWh per person, per year. Corresponds to 10.3 kW. The Smart Grid: Green IT and Data Centers February 2, 2011: 4:10 p.m. Charles O’Donnell, Vice President, Engineering Liebert AC Power Emerson Network. GREDOR - GREDOR - Gestion des Réseaux Electriques de Distribution Ouverts aux Renouvelables Real-time control: the last safety net Journée de présentation. SE 450 Software Processes & Product Metrics Reliability Engineering. Electrical demand in the future through the eyes of the tragedy of the commons problem. New Orleans, LA July 8, 2004 John Zemanek Vice President, Transmission Entergy Transmission Planning Summit. Economic Impact of Poor Power Quality on Industry Nepal Adopted from The Internet for Educational Purpose Sudaryatno Sudirham October 2003. Demarcation of responsibilities (as per IEGC) 1. REGIONAL GRID SHALL BE OPERATED AS LOOSE POWER POOLS WITH STATES HAVING FULL OPERATIONAL AUTONOMY. 2.SYSTEM.